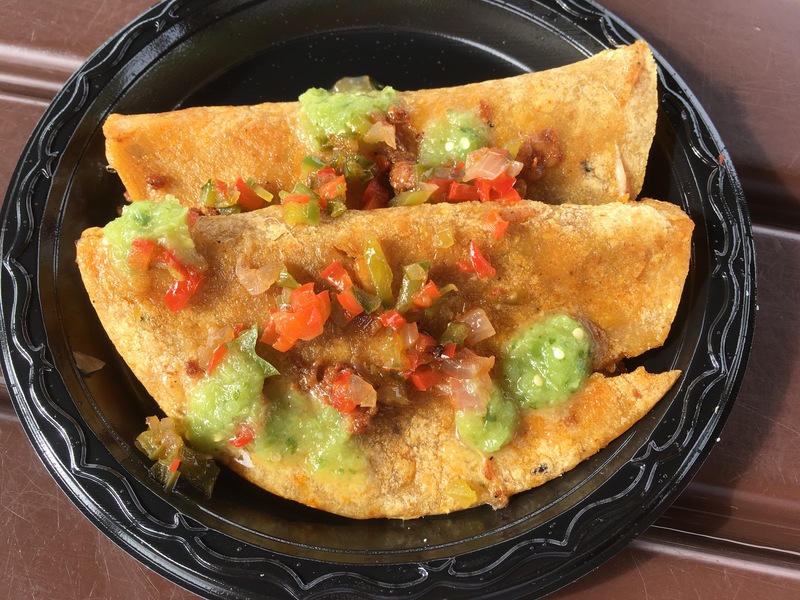 “Food & Art” Flash Report: Choriqueso Taco – El Arista Hambriento (The Hungry Artist) | It's "All in WDW"
More cheese than chorizo, I’d say. Also, as I’ve said before, I’m not a big fan of corn tortillas. I’d label this one as “worth a try” but not a “must do”. Like I mentioned, bigger portion (two tacos) than Food & Wine.